It used to be wedged between two rocks further down the beach, but the winter storms hitting Islay in winter 2014/2015 must have dislodged it and moved it to this location where I photographed it in April 2015. 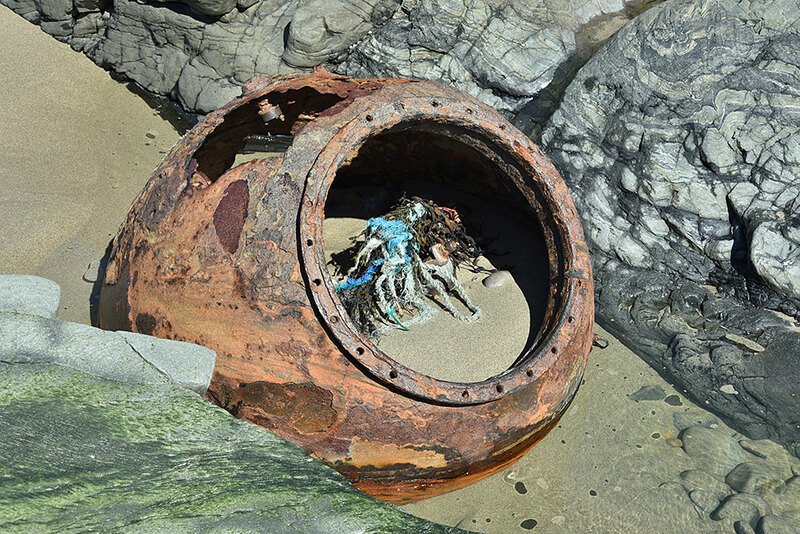 I’m told these are the remains of an old sea mine. Is what you can see through the hole top left one of the detonators?